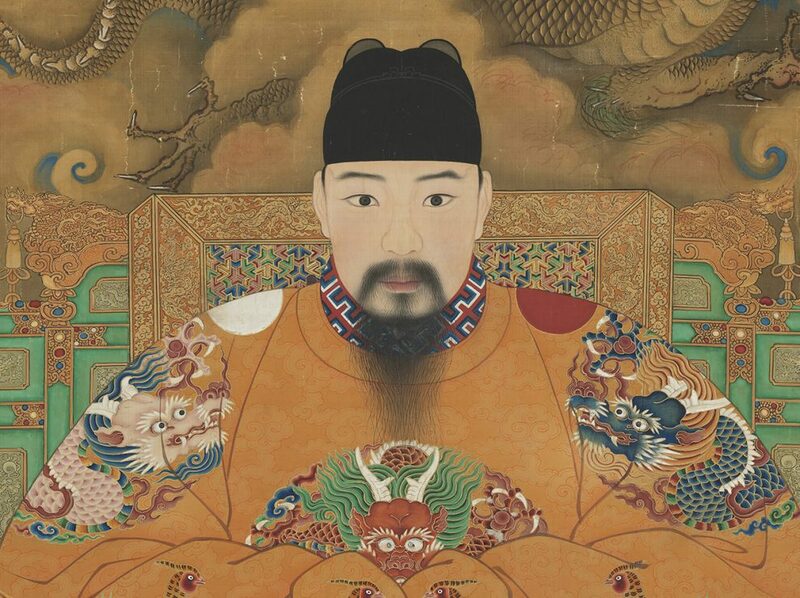 Ming dynasty 1368 – 1644, ‘Portrait of the Hung-chih Emperor’ hanging scroll; silk, 386.6 x 188 cm. National Palace Museum. 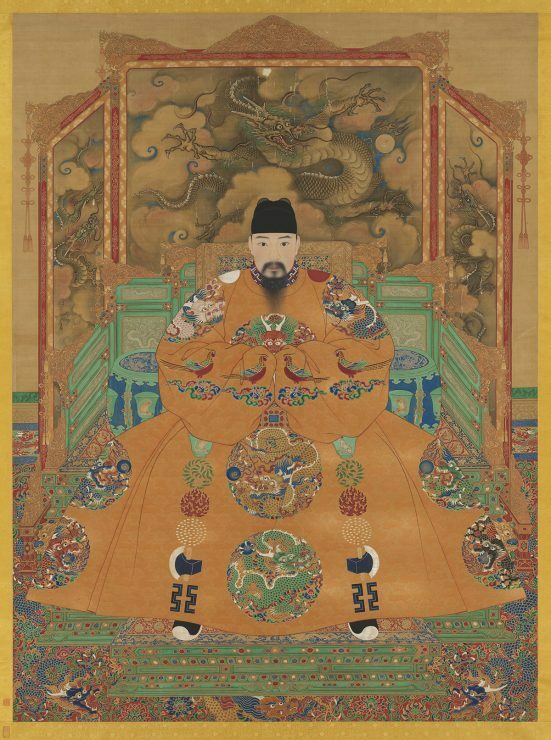 Ming dynasty 1368 – 1644, Qiu Ying, ‘Fuxi’ from the album ‘Orthodoxy of rule through the ages’, silk, 40.9 x 79.1 cm, National Palace Museum. Ming dynasty 1368 – 1644, ‘Tri-Ring symbolizing Heaven, Earth, and Human’, jade, nephrite, 11.75 cm diam., 4.7 cm diam. of the hole National Palace Museum. Qing dynasty, 1644 – 1911, ‘Meat-shaped stone’ stone, 6.6 x 7.9 x 6.6 cm National Palace Museum. 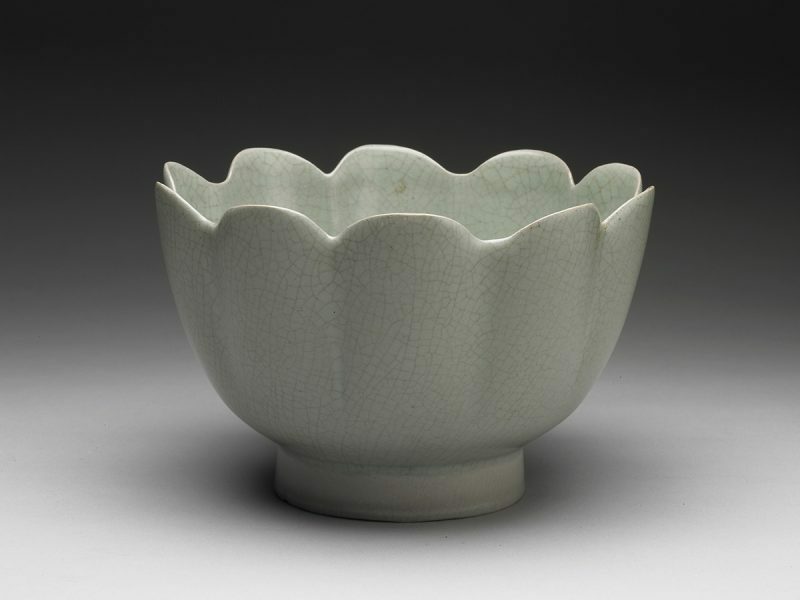 Northern Song 960 – 1127 ‘Bowl in the shape of a lotus’ porcelain, 10.4 x 16.2 cm. National Palace Museum. 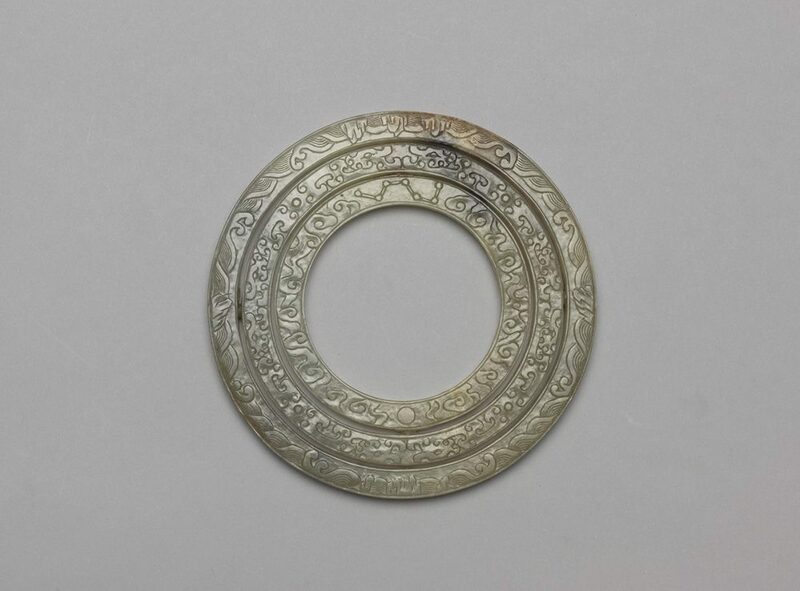 An unknown craftsman created a precious, tripartite circular jade and nephrite object during China’s Ming dynasty (1368-1644), with a diameter of less than 12 centimetres. Yet this ‘tri-ring’, now on loan to the Art Gallery of New South Wales, neatly captures a touring Chinese imperial art exhibition’s focus on belief in three powers of the universe: not merely heaven and earth, to which the show dedicates its name, but humanity as well. 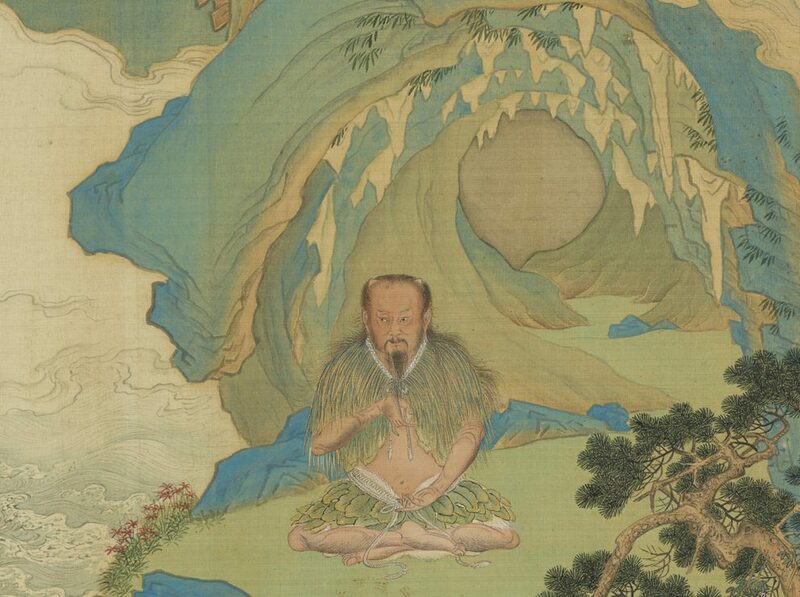 The inner ring shows “the sun, the stars and the clouds, so we know that represents the heaven”, explains the gallery’s curator of Chinese art, Yin Cao, who is overseeing the exhibition Heaven and earth in Chinese art: treasures from the National Palace Museum, Taipei. The National Palace Museum (NPM) was founded within the walls of the Beijing Forbidden City in 1925, and many objects were later evacuated to Taiwan during the Chinese Civil War. The museum’s main building was inaugurated in Taipei in 1965, with a second, southern branch completed in Taibao in 2015. 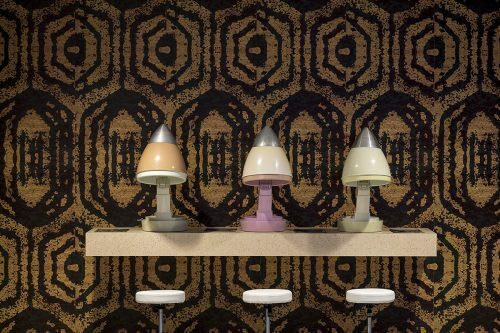 Today, the NPM is home to about 700,000 artefacts spanning 8000 years of Chinese art history, and, following a close collaboration between Yin Cao and the NPM curators, more than 150 of these objects will be on display in Sydney. Another jade carving, resembling a delicious piece of pork belly on a gold tray, will be the most talked about piece to come to Australia from the NPM, and could easily be mistaken for something Marcel Duchamp or the pop artists might have created. 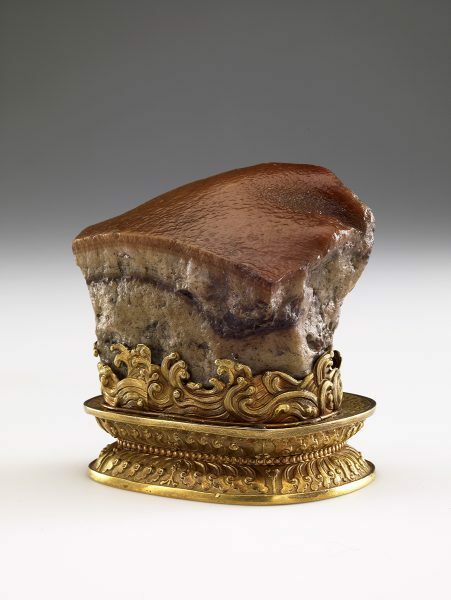 Meat-shaped stone hails from the Qing dynasty era (1644–1911) and was made by another artist unknown – possibly crafted in the 18th or 19th centuries – measuring under 10 centimetres. It is one of the NPM’s “top three treasures”, and is rarely loaned because of its popularity among visitors, although it did make its way to an exhibition in Tokyo in 2014. A legend behind this meat stone “ties to the very respected Chinese scholar called Su Shi – another name for him is Su Dongpo – and in Chinese cuisine, there is a very famous dish called Dongpo pork”, says Cao. Qianlong 1736 – 1795, Chen Zuzhang, ‘Olive pit in the form of a boat’ 1737 olive pit, 1.6 x 3.4 x 1.4 cm. National Palace Museum. The pork stone’s presentation on the gold tray resembles an ocean wave, “like this pork is floating”, says Cao. 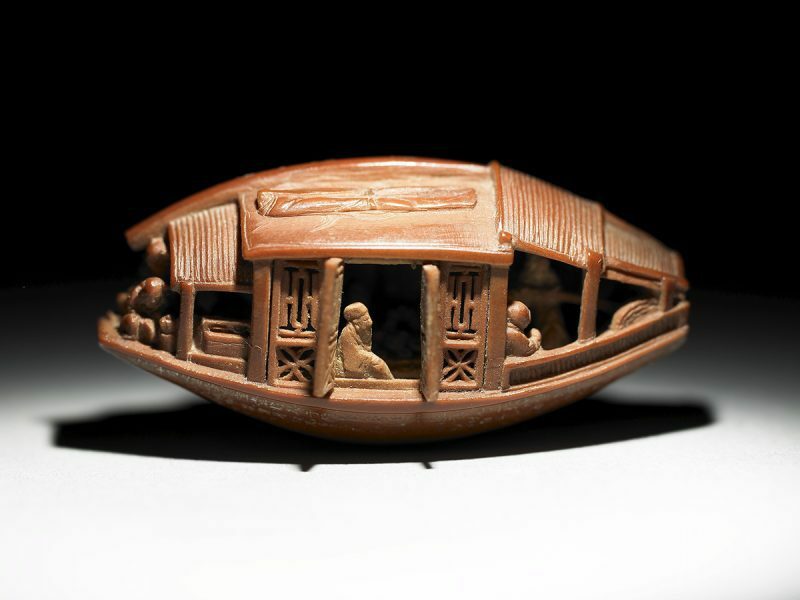 Meanwhile the tiny fruit carving Olive pit in the form of a boat, from 1737, measures 1.6 × 3.4 × 1.4 centi- metres, and is signed by the artist, Chen Zuzhang. The boat contains eight human figures. Text from a rhapsody that Su Dongpo (Su Shi) composed in 1082, during his exile from court, is microscopically engraved underneath the boat: Latter Ode on Red Cliff, about the poet and his friends taking part in a boat ride at the site of the epic battle of Red Cliffs some 800 years earlier. It is, more broadly, a rumination on mortality. One figure can be taken as the exiled poet himself. “Here he is, on this little boat, but he’s thinking about the whole universe, what is permanent, what is imper- manent,” says Cao. 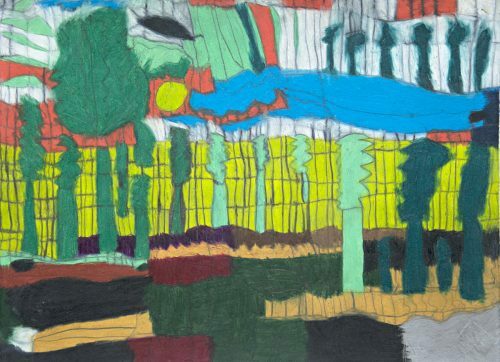 The exhibition at the AGNSW will also include woodcarvings, ceramics, bronzes, illustrated books, calligraphy and paintings. 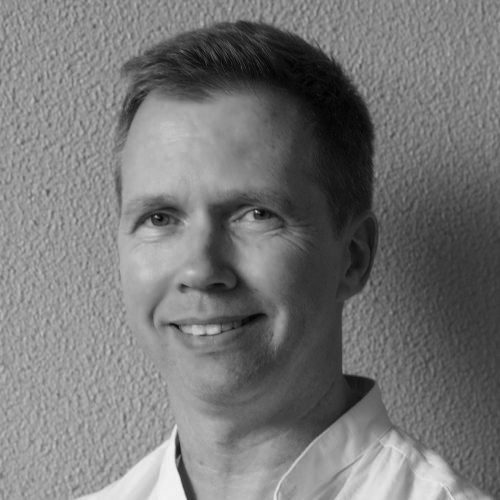 Did Cao have much say in what the gallery could borrow from the NPM? 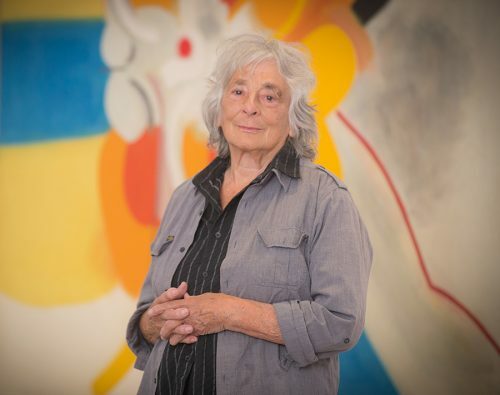 “I worked closely with the Palace Museum’s curators, but of course there are treasures that can’t leave in every country,” she says.